Lori Johnson is a teacher, wife, and mother. She has a BA in Kinesiology and is a certified teacher. She pioneered an effective teen abstinence program at the Life Choices Pregnancy Center in Longmont, Colorado, that is now being used in many other places, as well. Lori taught health and physical education at Ukarumpa International School in Papua New Guinea until 2010. She has also taught at the International Primary Health Care (HIV/AIDS awareness, dehydration, first aid, tropical diseases, etc.) as part of a missionary training program at the University of the Nations Kona Campus. Lori is currently a health teacher at Iao Intermediate School. Michael Johnson has a Bachelor of Science in Electrical Engineering, which he earned with an NROTC scholarship. 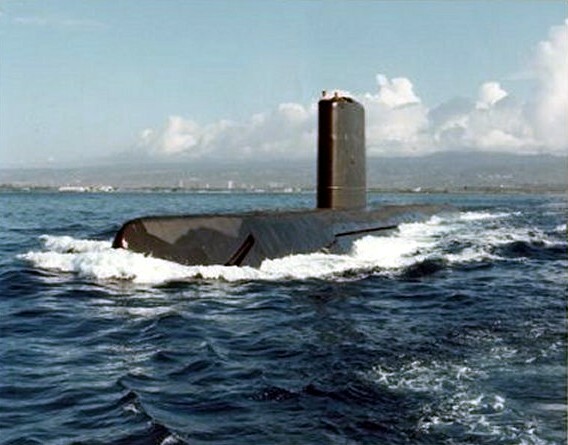 After graduating and being commissioned as an officer in the U. S. Navy, he attended Navy Nuclear Power School, then served in the submarine service until 1984. After getting married to his wonderful wife, Lori, Michael worked as a senior software engineer in the defense and data storage industries for 16 years. During that time, he earned a Master of Science degree in Electrical Engineering. In March 1994, at the prompting of the Lord, Michael started working part time on a new translation of the Holy Bible into modern English whose main reason for existence was that it could be freely copied in electronic formats, with no royalties, restrictions on numbers of copies or formats, and no restrictions on where it could be copied. Thus the God’s Living Word and World English Bible translations were conceived. Michael continues to work on the World English Bible translation in parallel with his other task of publishing minority-language Scriptures electronically that other people have translated. In 2000, Michael and Lori went into full-time Christian missions, doing various things. Michael’s work mostly involved various aspects of computer support of Bible translation. His current job is electronic Scripture publishing in many languages with World Outreach Ministries and as a volunteer with the PNG Bible Translation Association. This is a collaborative task involving several Bible translation agencies as well as Youth With a Mission. Michael writes custom software, creates and maintains web sites, and works with Bible translation agencies and Bible translators to get permission to publish their Bible translations electronically on sites like eBible.org, PNG.Bible, and PacificBibles.org. We would like to make the Holy Bible freely available in every possible language, and readable on common devices, such as computers with various operating systems, smart phones, tablet computers, and dedicated book reading devices, with or without Internet access. Although this is pretty much done for the most widely-spoken languages in the world, there is much work to be done on the rest of the world’s languages. Obviously, there is enough work to keep many people busy for many years on this task, since there are still over 2000 languages without even one whole book of the Bible translated, yet. Michael can’t do all of that translation, but he can help in the electronic publication process as the translations are completed. 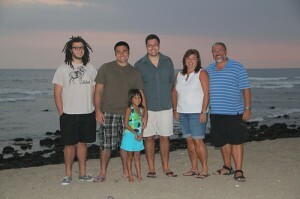 As you can see from the picture, above, we have 4 wonderful children: 3 adult sons and one daughter in elementary school. They all love Jesus Christ. For more details, please see our newsletters and journal.